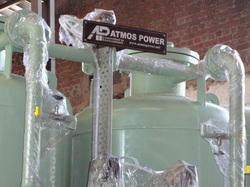 ATMOS POWER PVT LTD is ISO certified 9001:2008 company. We offering different types of Air & Gas Dryers with customize capacities. We are believe in quality base product with customer satisfactory and we have satisfactory customers through out INDIA. We have served various sectors such as, chemical, petroleum, pharmaceutical, health care, food, steel and other industrial markets worldwide. Our growth and success is the result of our customer intensive approach, which makes sure that the needs of our clients are fulfilled with impeccable precision. We have in house manufacturing unit and follow the manufacturing & design coding system. a) Child water Air Dryer (Double effect type). b) H.O.C. 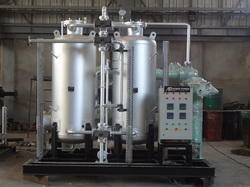 (Heat of Compression) Type Air Dryer. c) Heat less Type Air dryer. d) Internal Heated Type Air dryer. e) Blower Reactivated Type Air dryer. f) Refrigerated Type Air dryer. g) Split Flow no purge loss Air dryer. We offered different types of range for Heat of Compression Air Dryer. Mass quantity instrument, process air in chemical industries & other engineering applications where mass volume air may be required. After Air Receiver, In Compressore air system. The HEAT OF COMPRESSION (HOC) Dryer is the latest generation chemical dryers based on adsorption principle.It does not have complex valvs & is eliminated with purge loss drawback as in heatless type dryer. H.O.C.Dryer offers best atmospheric dew point i.e. 70 Degree C. It is having lest running cost with best quality of air.Have lesser payback period. It is a stationary system, fully automatic,continuous duty with long efficient service life. H.O.C. Dryer is most users friendly. We offered customize capacities of Heatless Air Dryers for require different applications. It is the simplest form of dessicant type gas or air dryer for achieving a dew point of minus 40 degree C or better for compressed air systems and other GAS-Air dryers applications. Wet incoming compressed air after passing through pre filter - passes through the side piston valve assembly and is directed towards absorber chamber where the compressed air passes upward through the desiccant (Activated Alumina / Molecular Sieves). Compressed air drying takes place by adsorption.Dry compressed air from absorber chamber then passes through the check valve assembly and then through the after filter to the application or work area and many more process for genrating air and pressurize air to provide an efficient Dew Point minus 40 degree C or better (at atmospheric pressure ) through the adsorption tower of Heatless Air Dyer. We are leading manufacturer and supplier of Desiccant Air Dryers. Looking for Desiccant and Refrigerated Dryers ?